You are here: Home / Natural Solutions / What is Melaleuca Essential Oil Good For? Looking for information about Melaleuca essential oil? You’ve come to the right place. Also known as Tea Tree oil, it’s a wonderful oil to always have on hand due to its many uses. With over 92 different compounds, Melaleuca hails from Australia and was used daily by the Aborigines. They would just apply the tea tree leaves to their skin for a cooling effect. But the many other uses of this oil couldn’t be kept a secret for long! The benefits of Melaleuca eventually became known worldwide and the rest is history! Its many uses and benefits span everything from topically cleaning and rejuvenating skin, to immune function support, cleaning and more! Where does Melaleuca Come From? Found in Australia, the Melaleuca plant has about 250 species. The oil is extracted from leaves of the shrubs or trees. Essential oil of Melaleuca is created through a stream distillation process. Recently I was feeling under the weather with throat discomfort which progressed to a very bad cough. I only used natural remedies like colloidal silver, drinking tea with honey, and blends of essential oils. The cough continued to get worse, especially at night. Nothing was working! On one particularly awful night of coughing, I rubbed some Melaleuca essential oil on my throat and chest, then inhaled it. To my surprise and delight, my cough calmed down and then stopped altogether for that evening. I finally was able to get a good night of sleep without coughing. When I awoke in the morning, my cough was back (but not as bad) so I repeated the process. I continued using the tea tree oil to help calm my cough until I was well again. 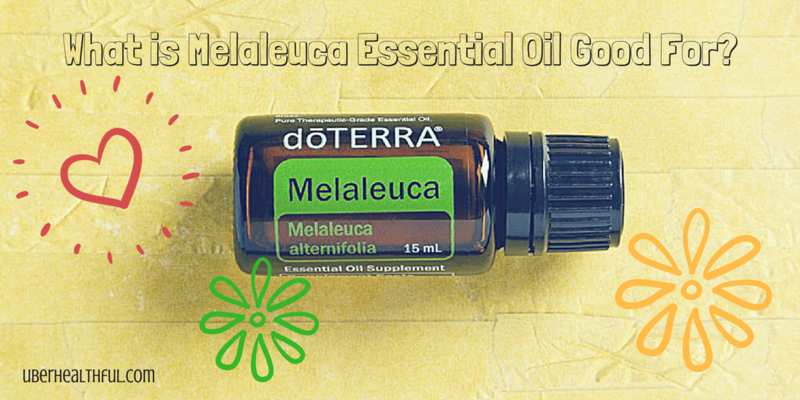 I had no idea that Melaleuca could be helpful for my cough and congestion but it was for me! Did you know that your make up brushes get very dirty over time? Between old makeup and dead skin cells, it’s a good idea to clean them so you don’t reapply that old stuff to your facial skin. With Tea Tree oil, you can create a wonderful cleaner to eliminate the germs and gunk. Then your makeup brushes will be nice, fresh and clean again. Swirl your brush in the Fractionated Coconut Oil for 30 seconds, or until you see the makeup stored in your brush start to come out.3. Rub in a circular motion on the palm of hand to help get the makeup out. Rinse the brush under warm water. Gently squeeze brush bristles until clean, and the water runs clear. Please note: Make sure to point the bristles down when running under water. Direct water contact may loosen the glue where the bristles are attach and shorten the life of your brushes. Let your newly cleaned makeup brushes dry on a towel for 4 hours, or until dry. Repeat once a month, or as needed. The most simple way to use Melaleuca essential oil is to diffuse it. Just put 3 or 4 drops in your diffuser to freshen up any room in your house. If you want to add more essential oils, add 2 drops Lemon oil, 2 drops Eucalyptus, 1 drop Melaleuca and 1 drop Peppermint! Like the ancient aborigines of Australia, many people still use Tea Tree oil for skin because of its purifying and toning properties. Because of these properties, Melaleuca oil can be used to help soothe occasional skin irritations. When you experience occasional skin irritations, apply one to two drops of Tea Tree oil onto the affected area, using doTERRA Fractionated Coconut Oil to dilute the oil if necessary. Melaleuca (Tea Tree) essential oil is the perfect cleaning companion due to its high terpinen-4-ol content. 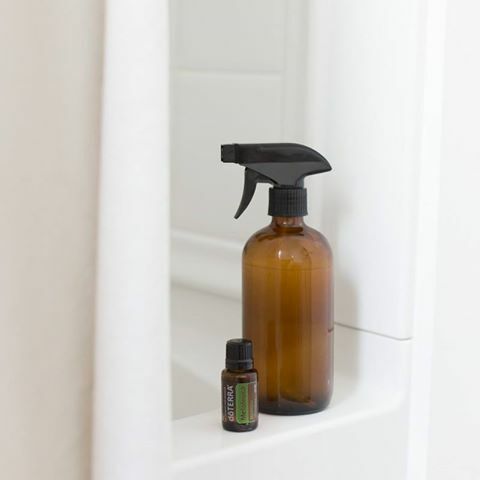 For a quick and easy shower-cleansing spray, simply place 20 drops of Melaleuca into a glass spray bottle and fill with 1/4 cup distilled vinegar and top with water. Simply shake bottle and spray over shower surfaces and wipe clean. You will be amazed at its purifying qualities. You can use it to clean other surfaces in your home as well. Easy, safe and cost less than toxic cleansers. Have you ever tried adding Tea Tree oil to your beverages? Although citrus essential oils are a popular choice for giving water extra flavor, there are many benefits to adding Melaleuca to your water or other drinks. Tea Tree oil can be added to water for a refreshing taste and to help support healthy immune system function. When adding Tea Tree to your drinks, add it to water by itself or to citrus drinks for extra flavor. You can even combine Melaleuca with Peppermint and Lemon essential oil for a refreshing mouth rinse and breath freshener. Keeping your nails healthy is just as important as the way you care for your skin. With its purifying properties, Melaleuca oil can help! Just apply the oil to your fingernails and toenails after a shower. Try diluting with a carrier oil if you experience any skin sensitivity. If you are looking for Tea Tree essential oil, visit our doTERRA page to order. When shopping for Tea Tree oil, you’ll want to ensure that the oil you choose is pure and high quality, in order to yield the benefits that the oil holds. Each doTERRA essential oil, including Melalueca, is responsibly sourced, tested, and produced in a way that guarantees a high quality grade. As you can see, Melaleuca essential oil is one of the best oils to always have around due to its many uses and benefits. Did you find this post helpful? Do share with anyone who might benefit from this information. How do you use Tea Tree oil? To learn more or order your Melaleuca oil, click here to visit my web store.